Austria’s governing parties have agreed that a general ban on smoking in cafes and restaurants will not be imposed until May 2018.The SPÖ and ÖVP announced at a press conference that a draft law will be sent for expert review on Friday. The law proposes a bonus for cafes and restaurants which voluntarily ban smoking before the May 2018 deadline – the value of which will be related to previous costs in setting up smoking and non-smoking areas. Previously, Economics Minister Reinhold Mitterlehner (ÖVP) said the ban would come into force in summer 2015, but after much haggling the parties seem to have reached a compromise which gives businesses more time to adjust. “The new smoking ban will be a historic contribution to improving people’s health,” Health Minister Sabine Oberhauser said on Friday. “We have at last joined Europe in terms of protecting non-smokers,” she added. According to a report in the Wiener Zeitung newspaper the general smoking ban will include e-cigarettes, which at present do not fall under the tobacco law and will therefore require a special paragraph. Currently, smoking is banned in public places in Austria under a 2009 law but restaurants and cafes are exempted and the government admits that the legislation is not tightly enforced. The right-wing Freedom Party (FPÖ) criticized the ban, saying that it smacked of paternalism and a nanny state. Heinz-Christian Strache said that the FPÖ was “the only party in Austria which stands up for small businesses”. It has taken years of wrangling to introduce a general smoking ban in Austria – with bar and restaurant owners strongly protesting against the move, saying that their businesses will suffer. The Austrian chamber of commerce has said it is mulling whether to file a suit in the constitutional court. Austria still has some of the worst smoking statistics in Europe, and has been criticised by international organisations for its lack of anti-smoking policies. It is one of the countries in Western Europe where cigarettes are cheapest. Austria has extremely high smoking rates among young adults (aged 18–28 years), with 52 percent of men in that age group smoking, and 34 percent of women. 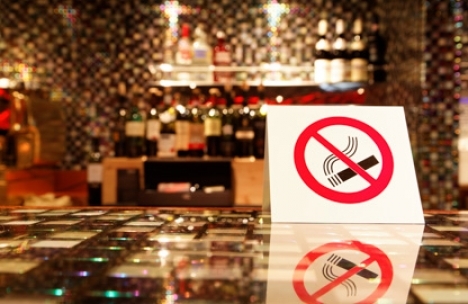 Many EU countries already have a complete smoking ban for enclosed public places.